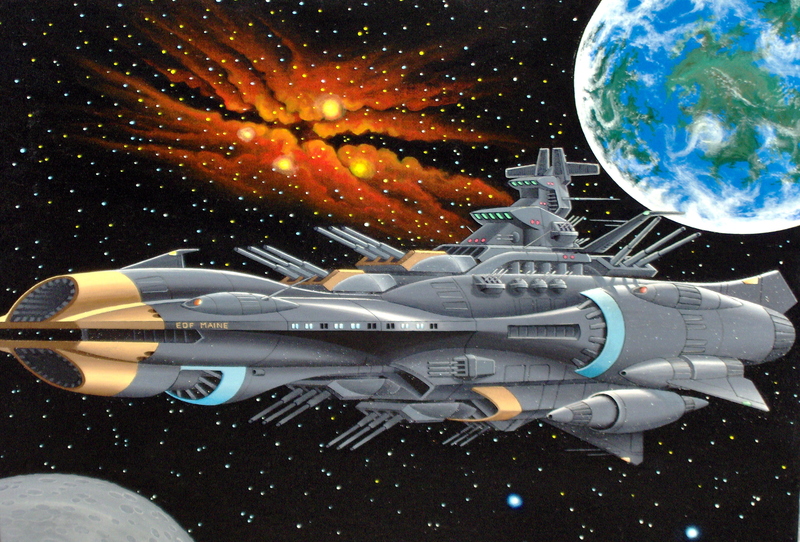 Original Artwork And Timeline Based on "Starblazers"/ "Space Cruiser Yamato"...And Beyond! Hello and welcome to the Drawingboard! What is it, you may ask? 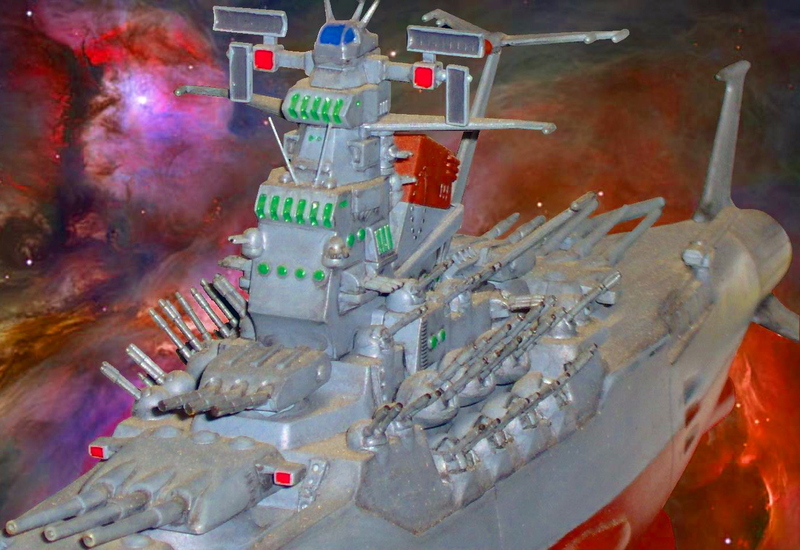 Well, it's a site dedicated to "Space Cruiser Yamato"... 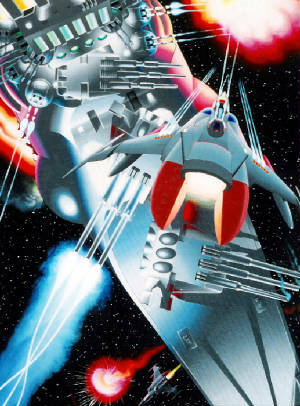 If the title isn't ringing a bell, this bit of Japanese animation was released here in the early '80's as "Starblazers." Today, it's considered by many, to be the father of Anamae. 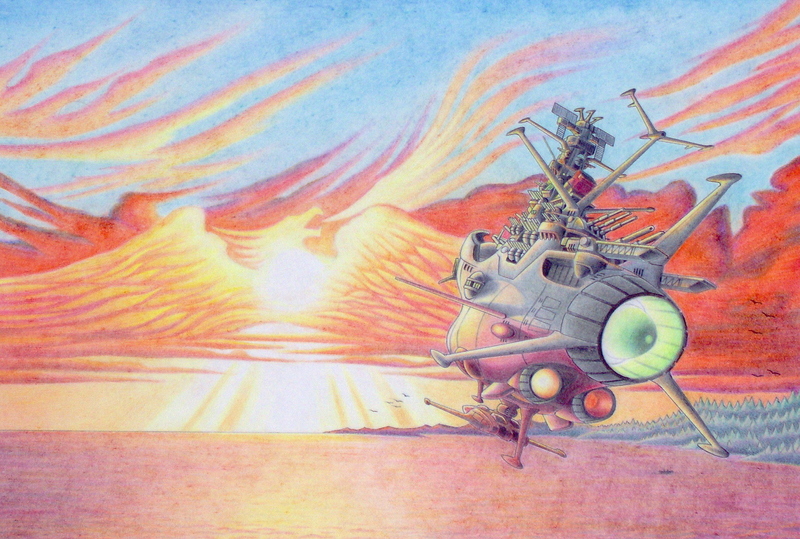 Most fans of the story will also tell you, It gave us all some really cool concepts in Sci-Fi...A space craft concieved from an old battle-ship, unlike anything that had come along before. ( The one exception might be the "ATROGON", a movie made by TOHO in the late 60's...So, true fans, help me out...what DID come first? ) Here was something unusual and totally original. The man responsible for this wild new look was Reiji Matsomoto and Yoshinobu Nishizaki, the founders of Space-Battleship Yamato. This creation was an anamated feature, and became an instant hit in Japan. 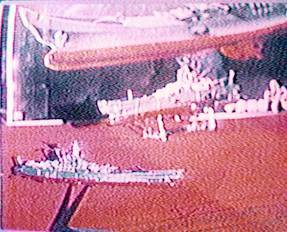 Another movie followed...Then the two stories were re-worked for T.V...Matsomoto was not happy with these shows, ironicly, it is these re-worked, edited and dubbed television versions that hit a cord in the U.S. under the title " Starblazers." I saw my first episode of " Starblazers " as a kid just beginning high-school...A friend sat me down and "forced" me to watch it... ( for all of five minutes )...then I was hooked. As an artist growing up in the sticks, I was frustrated by the lack of merchandise or images related to the show...and drove myself nuts trying to draw the argo! 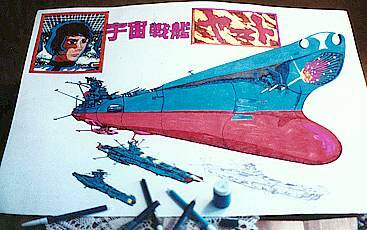 With much imagination and years of study, I learned about starblazers/yamato...Finding places to get model kits by mail-order, and hole-in-the-wall stores that had Yamato stuff. ( Anyone else out there, ever hear of "Mr Big's Toyland" in Waltham , Mass. ) How-ever, the extent of my knowledge is with the first two series...As that is all that I have seen. How-ever, I do know that the "Starforce" and it's "Argo" were lost in the year 2205. 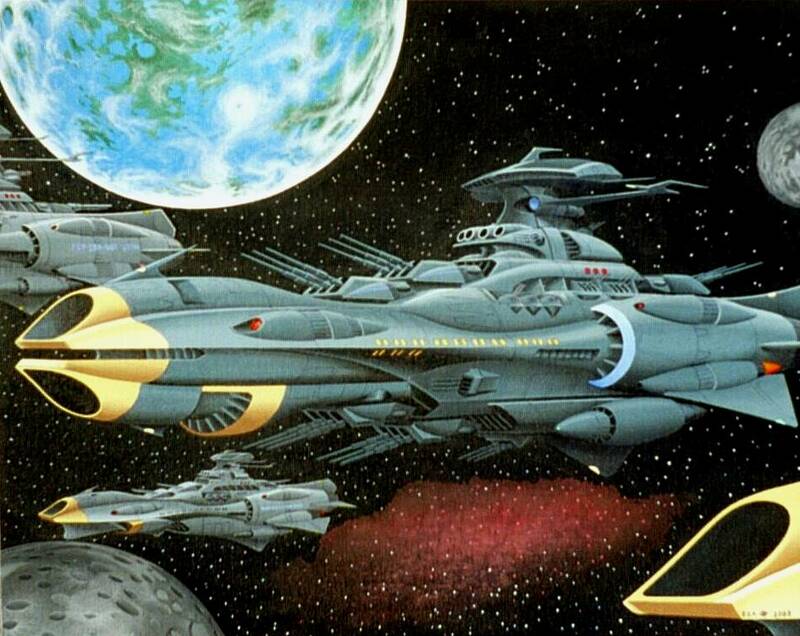 Here is where THIS STARBLAZERS/YAMATO SITE IS DIFFERENT. 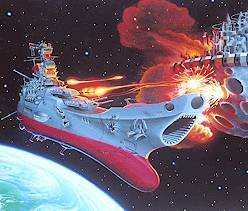 This "Yamato/Starblazers" site is unusual...As you will soon see. I have a collection of ships from the show, as well as ships that NEVER SHOWED! It is a place where fans can invision a "What if?" look and feel...As well as to let me work in new designs to some sort of time-line...The drawings, schematics and the story are from my mind, and If I somehow get crossed with events in the series of Yamato that haven't been seen here in the States, yet..It's accidental. 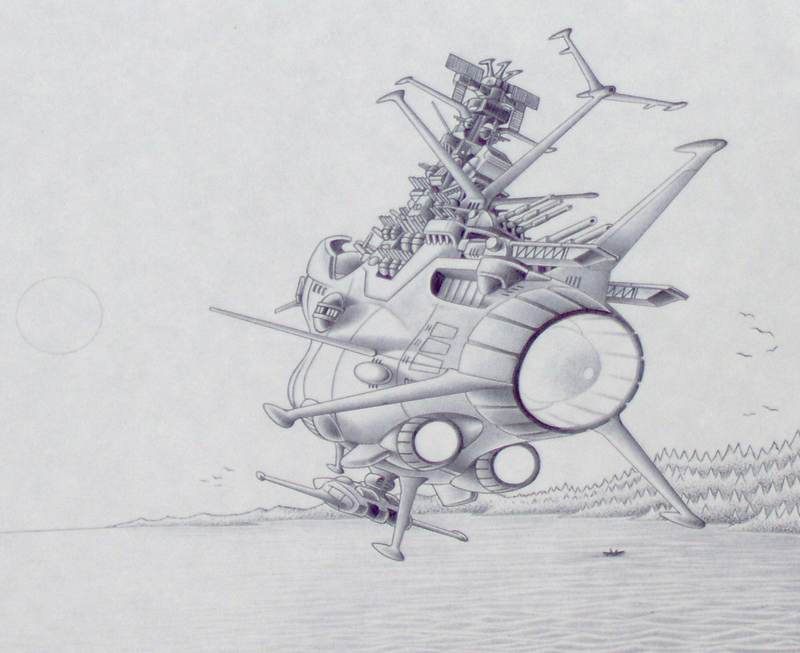 Anyway, Like I said, It is only a place to see new ideas based on Mr. Matsumoto's concepts and creation, With great respect....So, If you like Space battleship mecha, and would enjoy some new designs... sit back, and enjoy a new slant on what the E.D.F. 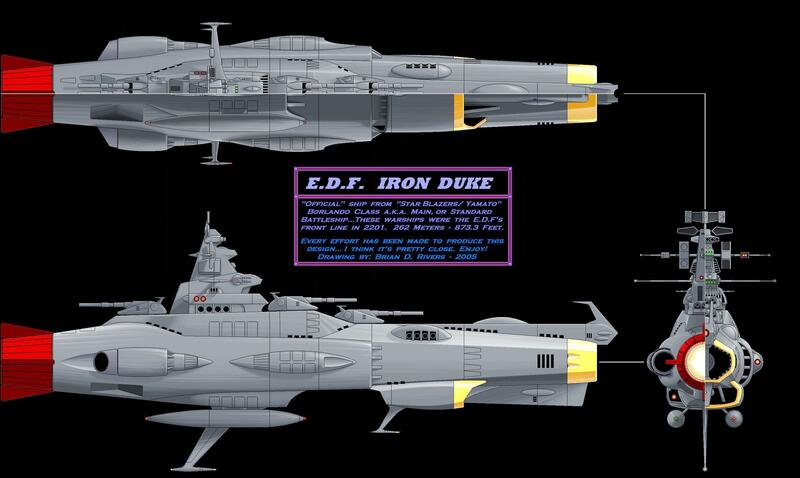 was doing after the events in "Starblazers"...One final note: The events I have written here are only a "sketch"...as I know that other fans have designed great new ships as well...case in point, the "Virgina project"...A beautiful new E.D.F. 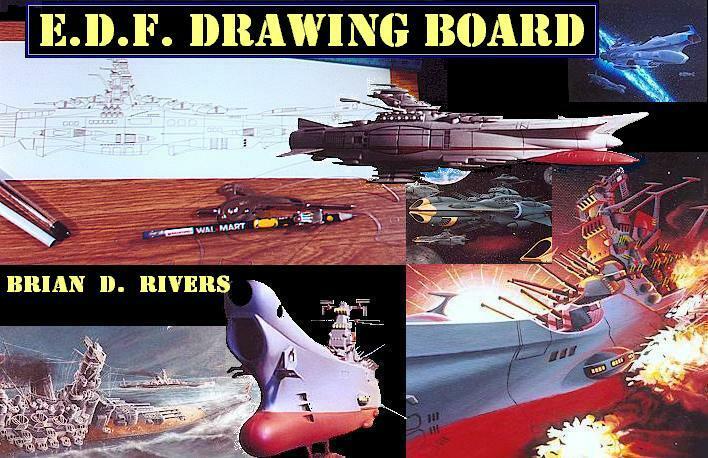 Battleship design from the Argo mechanics site...FANTASTIC! Last but not least...This site is a work in progress!! !I haven't painted, drawn or even designed any of these ships in a great while, so what is here, are brand new pencil , pen and Acrylic renderings...( This may help to explain the incomplete feel of the site )... I plan on doing some paintings of them in the future...But for now, check out the NEW PAINTINGS page...there are the most recent acrylic/canvas works...More will be shown as they are completed. The artist... ( After too many hours in front of the computer, with-out sleep :) No, he dosn't always look this bad! 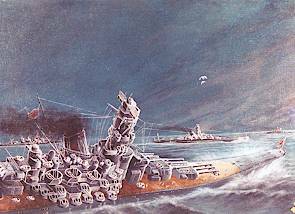 Click here to read "GODZILLA: Terror in the Pacific!" I also admin a forum for artists of all types. Good Luck Discovery! Way to go! 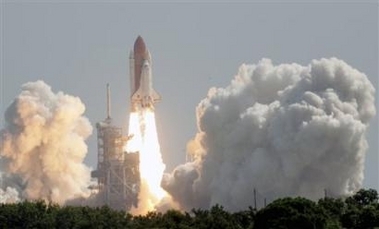 Your's truely has been asked to join up with the creator or "Rocketship Empirers 1936!" I'll be working with the creative team behind this R.P.G. game along with other great artists with impressive backrounds. Edward Kann who is the producer/witer of this game had found this very site, and the ball was sent rolling. Hello one and all!! I'm sorry for my prolonged absence from the site. There's been alot going on in real life, as of recent times. Anyway... I'm hard at work on some new designs. That said, I'll be working on the site as well. I'm hopeing to revamp the entire place within the next few months. We'll have to see how that goes. A new painting has been finnished and is posted on the Fresh Paint page! The E.D.F. 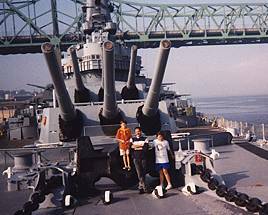 Maine, a New York class ship, although slightly smaller. Below, A new drawing in the making. "The Pheonix Yamato" For a better veiw of this uncompleted piece, go to the W.I.P. page. See it on the "NEW TERROR" page! Hello loyal E.D.F. fans! Thanks for stopping by as often as you have! The hit meter just keeps climbing...Thanks! As you can see, The new news is that E.D.F. is getting a make-over! By the time I'm done, it should download alittle quicker...( I hope. ) Also, The home-page will be abit more orginized. I.E. What E.D.F. is on the left hand side, and E.D.F News on the right. So, that's the big news! In other news, Don, over at Nova Shipyard is at it again...With a new cruiser. And other things on the way so I've been told. Also, Matt Berger has shown me some AWSOME new paintings in acrylic that he has done...I hope to display some here soon! New work is being done as I write this! Something new and fresh. Sort of a mixed media thing. You've seen the paintings, But this new work I speak of, is totally different! ( I know I've never seen anything like it on my web search! ) When complete, I will ( of course ) post it. Don Gaiser, head of the Yards, has built a stunning version of the "Heavy Arms / Welcome Wagon"... And the comments are still comming in about it! All I can say is this...Excellent job, Don! For more of Don's model, check out the Nova/ E.D.F. Drawing board Page. I'd like to extent a big Thank you to everyone who has helped, and put in a good word...Thanks guys! 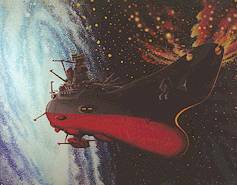 And, if you want to see more cool Starblazers/ Yamato sites, check out the links page, or the webring! Below, the wall of shame :) These paintings have all found homes thanks to many of you nice folks out there!